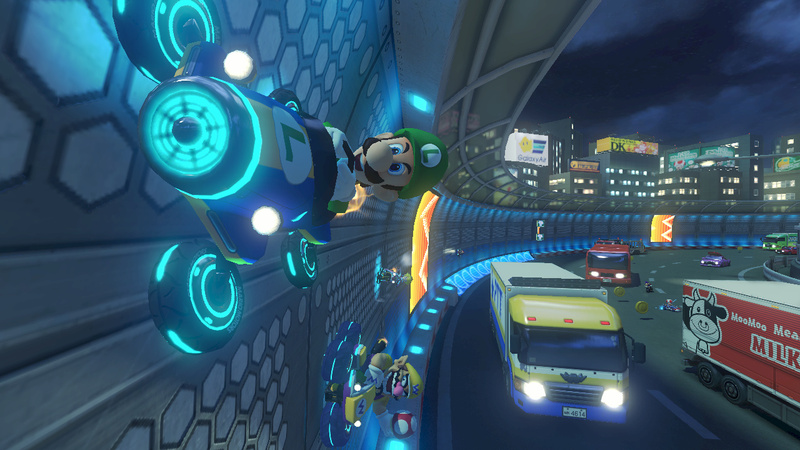 Turn Your Racing Experience Upside Down! 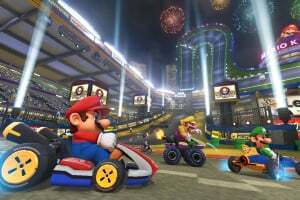 For the first time in HD, Nintendo's Mario Kart franchise comes to the Wii U console, introducing new racing circuit designs and antigravity karts that will have players driving upside down. 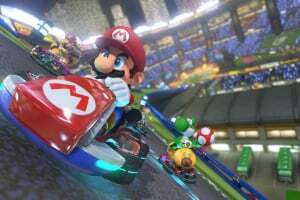 Players will also enjoy a variety of series-favourite features, including the return of 12-player online competitive play, hang-gliders, underwater racing and motorbikes. 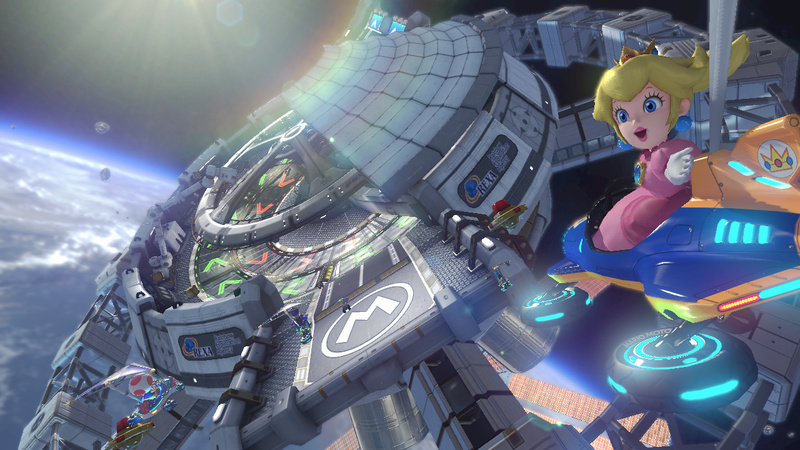 The new antigravity feature allows for never-imagined racing circuit designs. 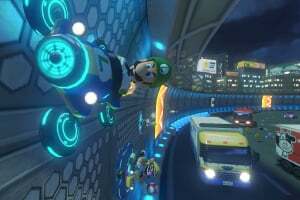 Players will speed through courses and find themselves suddenly racing on walls in a haunted mansion or upside-down over Princess Peach's Castle as their wheels automatically rotate and shift into antigravity gear. 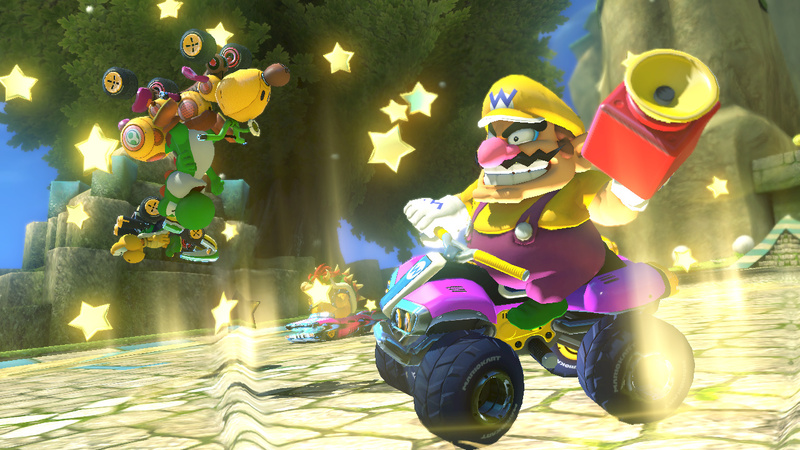 Mario Kart TV lets players share highlight videos they submitted to Miiverse. 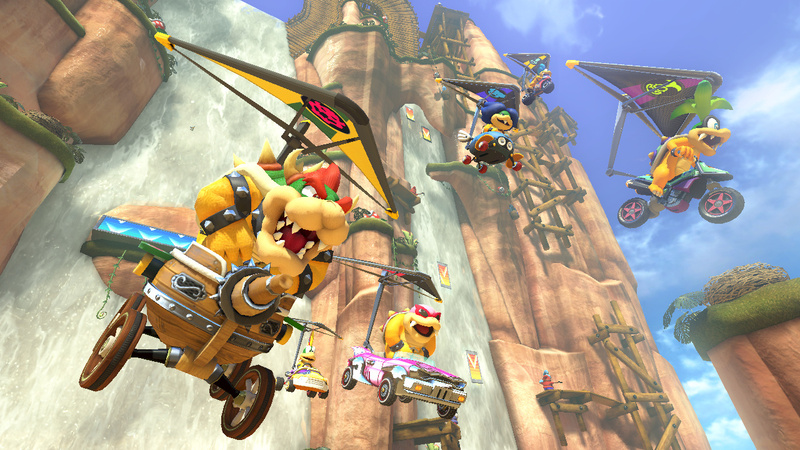 Experience a wealth of features that span the series, including 12-player online competitive play. 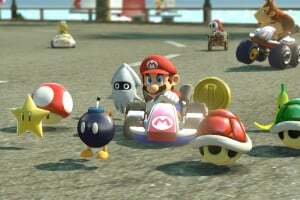 Elements first introduced in Mario Kart 7, such as hang gliders and underwater racing, along with elements introduced in Mario Kart Wii, such as motorbikes and performing tricks in midair, also make their return. 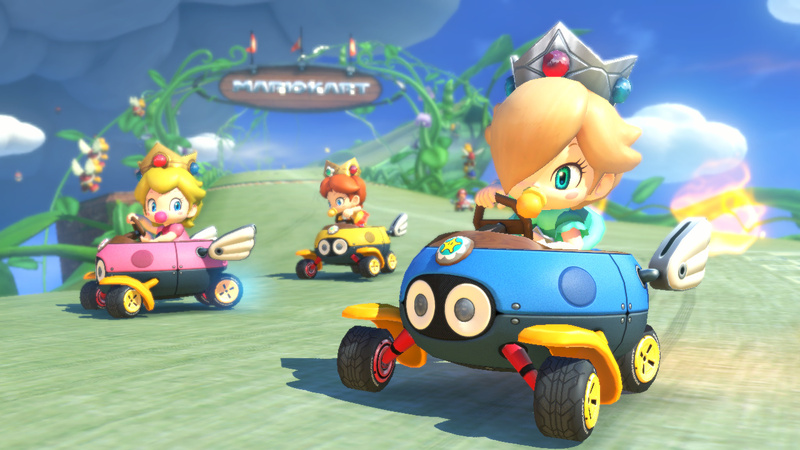 Fan-favourites Waluigi and Toadette re-join the cast of familiar characters from the Mushroom Kingdom. Crisp HD graphics and a 60-frames-per-second frame rate offer players the most visually stunning entry in the series yet. 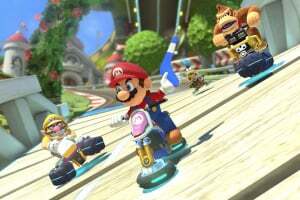 Nintendo should have different costumes for characters, that way people can pick the same character (offline) and it would be easier to tell them apart online. Hopefully we'll get a holiday release for this game. 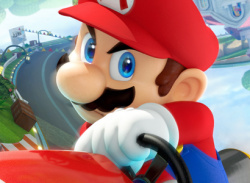 I loved every Mario Kart game. This time around, I hope they increase the amount of cups in the game so there could be more new and retro cups. 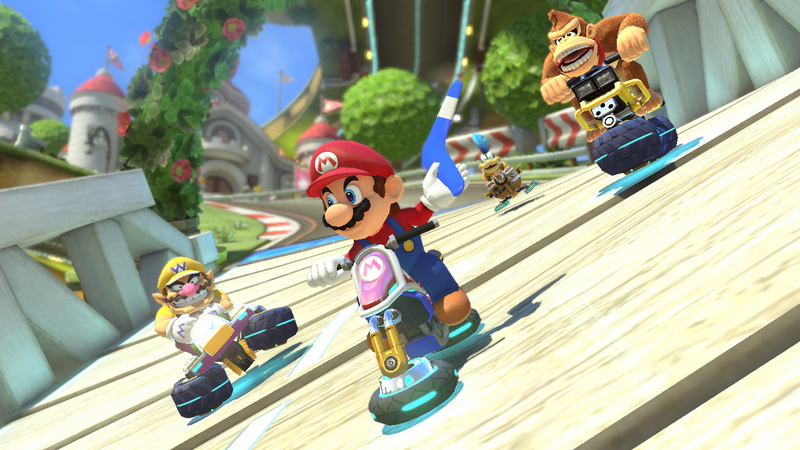 8 cups/32 tracks won't be enough this time around as the Wii U is powerful enough to hold more tracks. 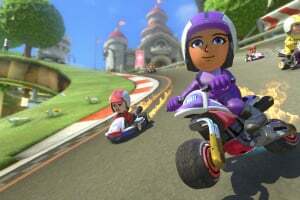 I also hope they add more characters while keeping all the characters from Mario Kart Wii and 7. 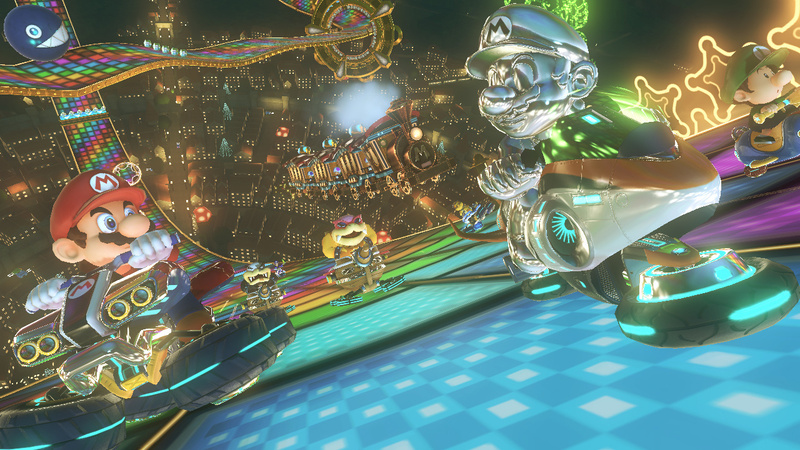 Every Mario Kart game I have played is really neat. I expect the same for this future title. @Ulala That sounds awesome. U also know what I liked. 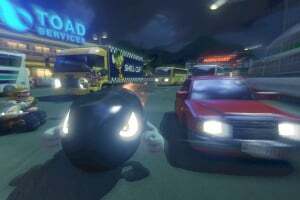 In double dash, where u would unlock new cars and characters after u won each tournament. That would be something to look forward to in the future game. Those 60 pixel per what ever the developer said really grabbed many's attention. 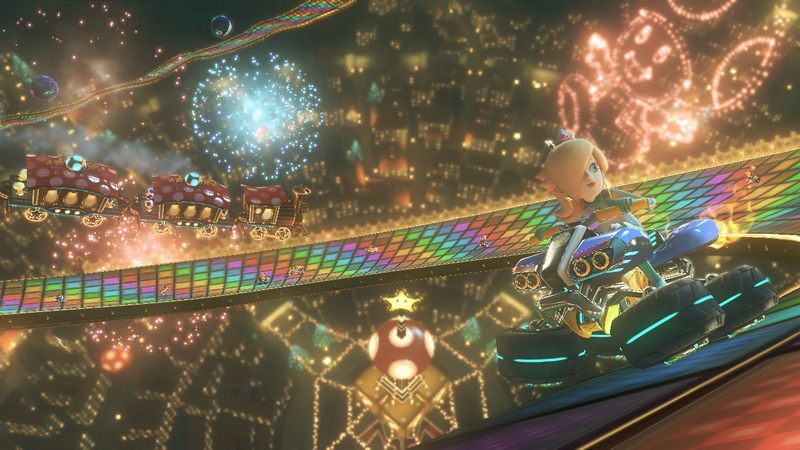 Mario Kart 8 has a new feature: Anti-gravity. pretty cool huh? 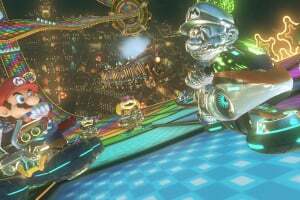 but what really shocked me is that Mario Kart 8 not only has Internet/Wifi/Worldwide racing like it did in Mario Kart DS where it made its debut. 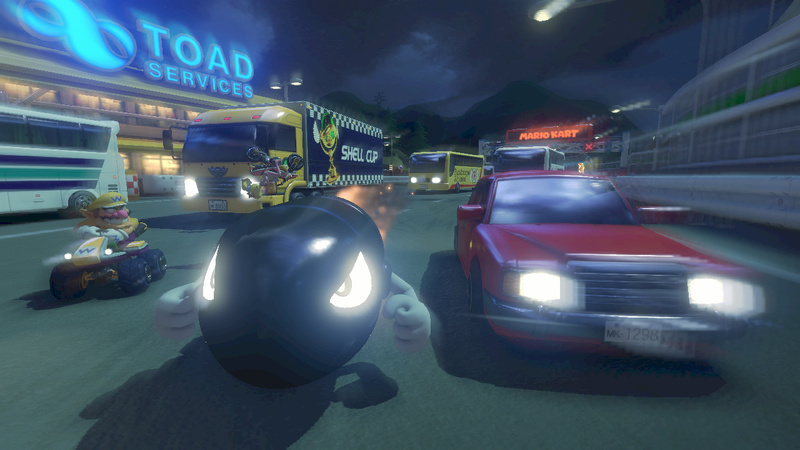 Mr.Iwata said it will have LOCAL play. Local? how will this work? 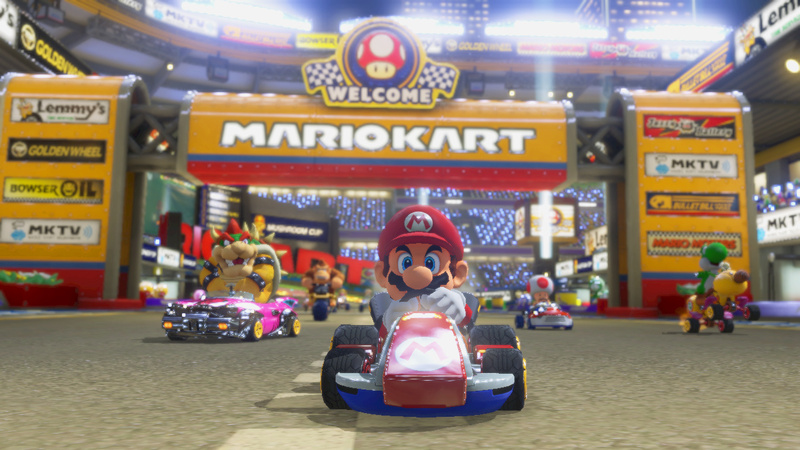 The handheld Mario Karts had local but, a home console with a local feature? Can I have a time machine? I wanna go to Spring 2014 to get the game! 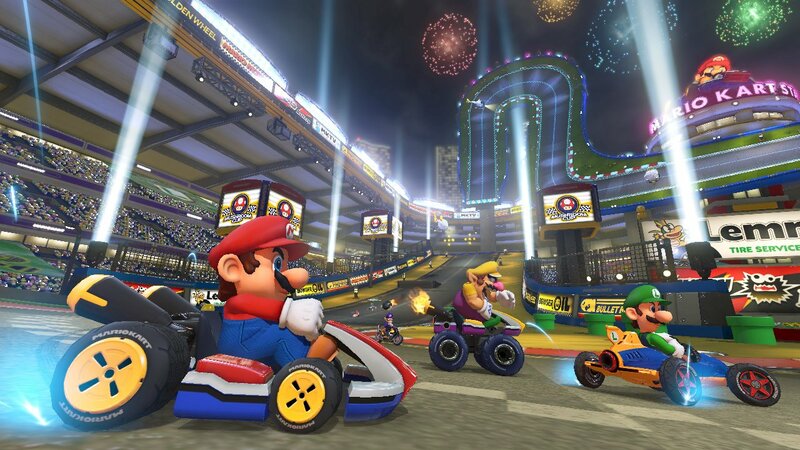 @ItsaMeMario1126 No way, Double Dash is hands down the best. 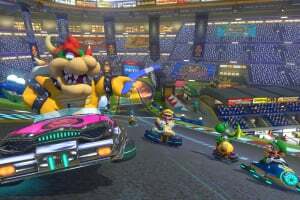 I have it on the Wii as well, but they took away snaking which was for skilled players and the battles of double dash were good enough to play for an entire night with 3 friends. 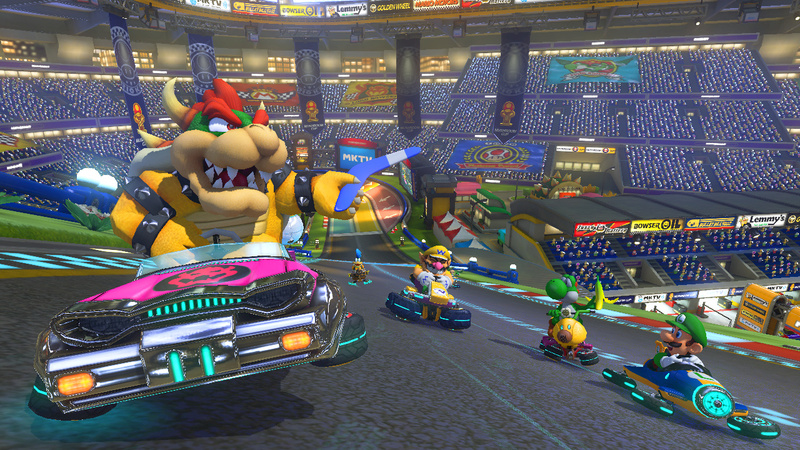 @luigi71 I agree, double dash ROCKS. 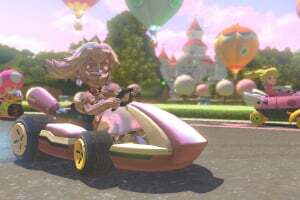 my only complaint is that when you play multiplayer, there are no cpus, and i usally play with just my mum, as no one else will play it with me. 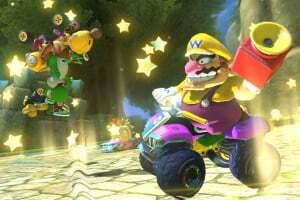 mariokart 8 looks like a whole bunch of fun but I don't have a wii u if only you could play it on 3ds or wii cause I got those but I dont have a wii u two bad! I can see Wii U sales rising exponentially as soon as this and Super Smash Bros hit the market. 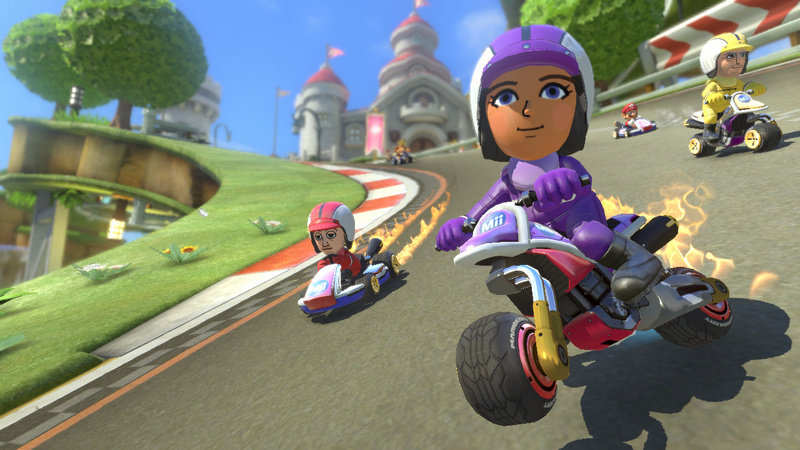 thanks god for custom Mario kart Wii levels, they will keep me going till MK8 release. I wish this game has 5 players local mode. 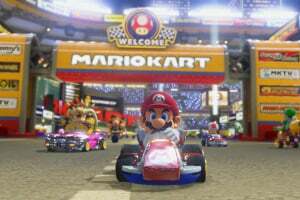 Hey, if Mario Kart Wii sold more games than Minecraft, Animal Crossing: Wild World, and Mario Kart 7 COMBINED (which it did), I'm positive Mario Kart 8 can overrule it too. Really looking forward to this game. I sold my Xbox One because I was so bored with it and got the Legend of Zelda Wind Waker HD Wii U Bundle and preordered this as well. Cannot wait for May 30th. @Microwaveable1 Put on your sarcasm hat and reread what Cthulu wrote. I will be getting this! 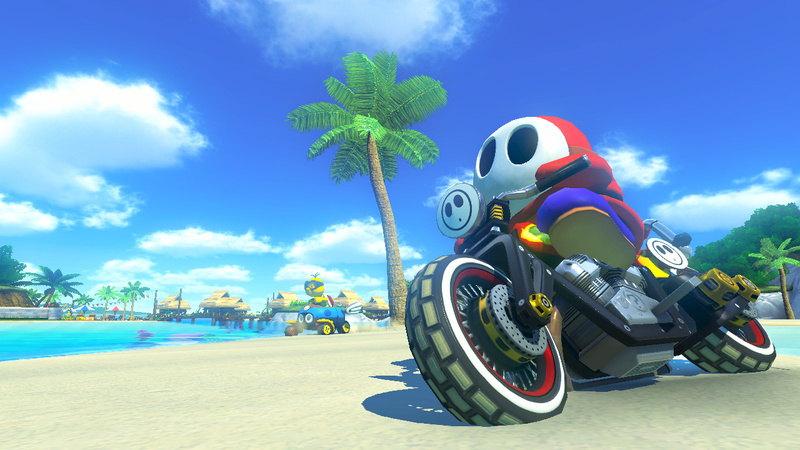 Well, now we have a reason to buy a Wii U. All aboard the hype train guys! 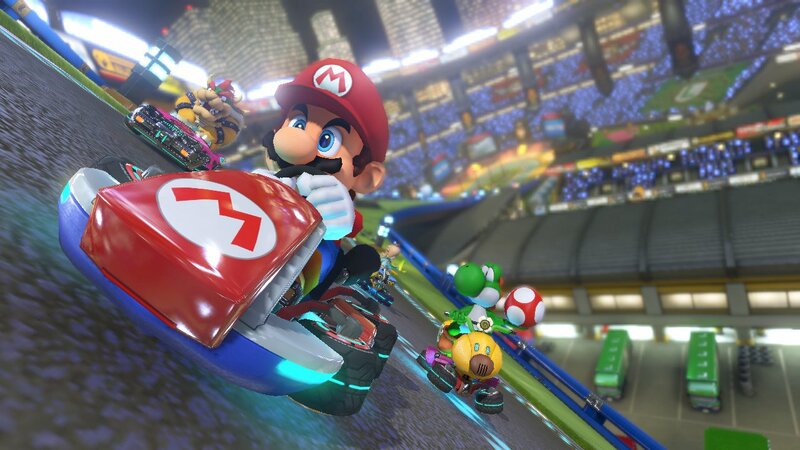 The best Mario Kart ever! 10/10... Period. 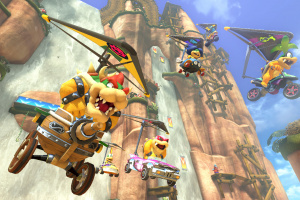 I think them adding some DLC whether its costumes, new karts, or new tracks might really help the gameplay. 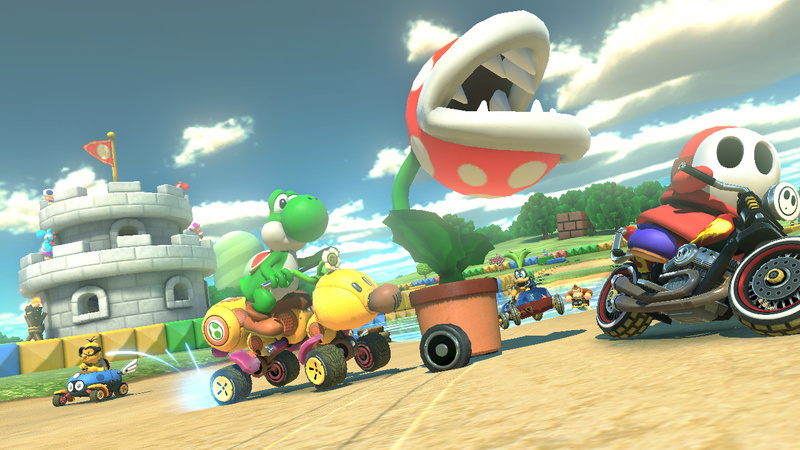 When I bought Mario Kart 8 I expected a large game just like double kart dash and the games following. 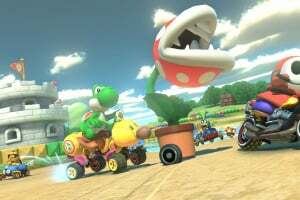 But what I noticed was that it felt very "bare bones" per say, for example I felt like the roster was not very extensive like it was in the past or that they could have added better tracks to show off the HD qualities or possibly even more kart customization. 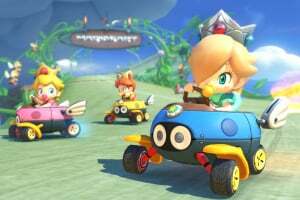 Do not get me wrong I love playing Mario kart 8 its a household treasure, but there is a part of me that wishes they will add on more dlc (than currently revealed) and that the amiibo's will bring more gameplay and diversity in drivers and karts! There are 3 DLC's!!! One that includes the Mercedes-Benz' and the others include characters' karts' courses' and cups! 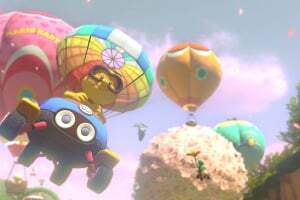 In addition' if you get both of the ones with characters' karts' courses and cups' you get colored shy guys and yoshi's! 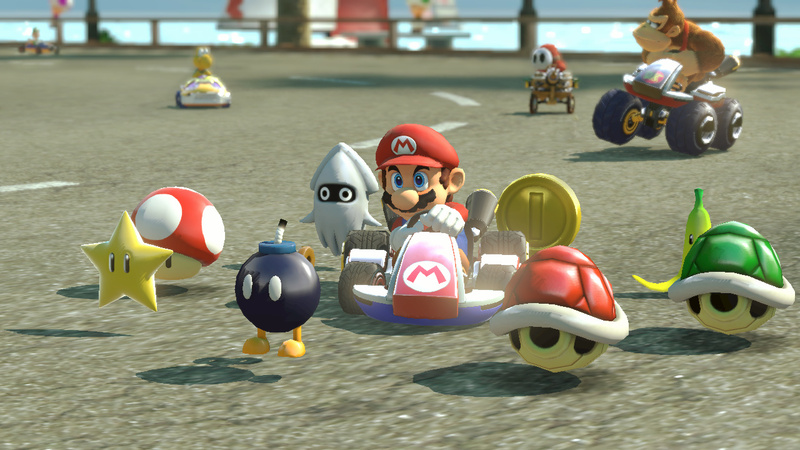 The amiibo's you can use in MK8 are: Mario, Luigi, DK, Peach, Yoshi, captain Falcon, Link, Fox, Samus and Kirby. 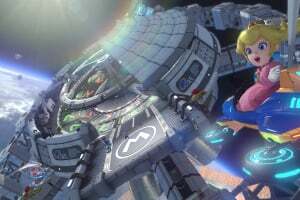 Could this mean that Fox, Samus and Kirby get their own tracks as well in DLC pack 2? 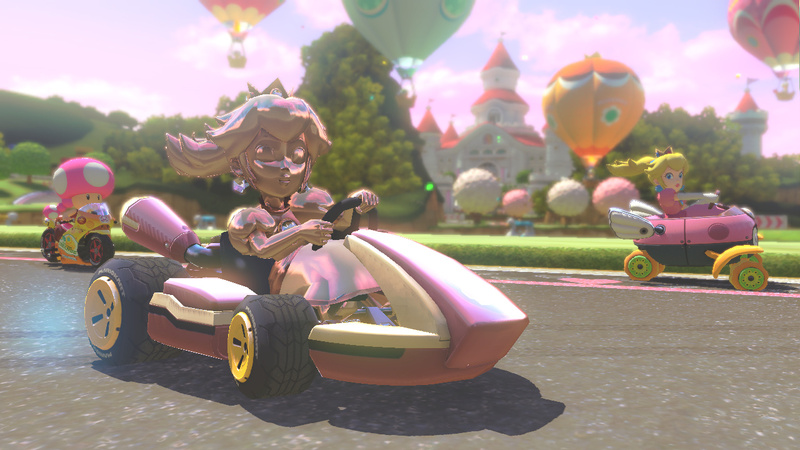 I really like the Mario Kart games. whats it called when you hit off of someone and get a boost? 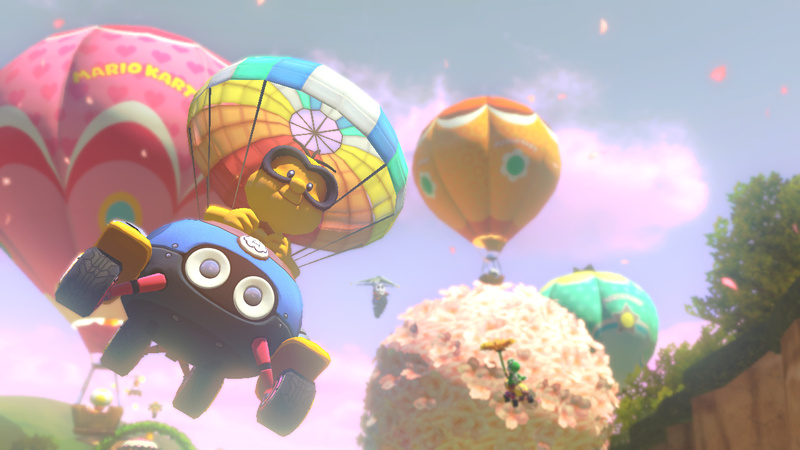 Truly my most favorite game on the wii u so far. Love playing this online versus others! With the added DLC, I honestly think this is my favourite MK game of them all. 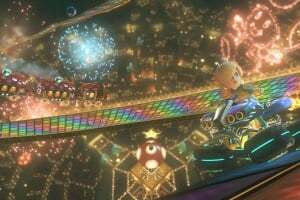 Fun to play, great tracks, loads of characters and kart options, beautiful to look at and the sound/music are just fantastic too. This Games is great! 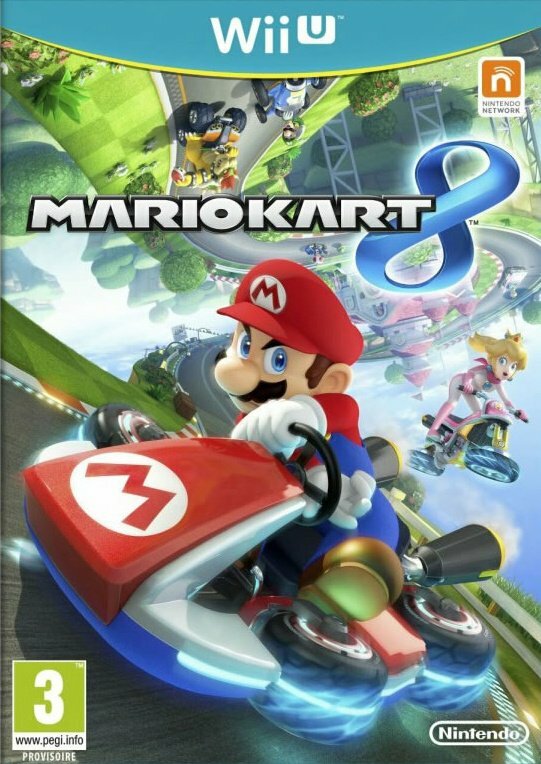 Tracks 10/10, Karts/Customization (although I don't really care) 10/10, Characters 7.5/10| PinkGold Peach BAD, M Mario Meh, All of the DLC characters (except for Dry Bowser) Disappointing, No Diddy, Bowser Jr., King Boo, Birdo, Petey, or Dry Bones but another baby c'mon! 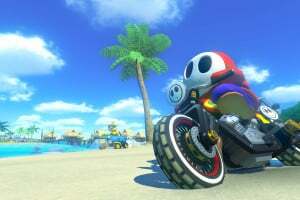 (Well they did bring 3/6 of those characters back in MK8DX) But don't let me get started on Battle Mode! In total, 9.6 out of 10.